Haute Couture Accessories from my fall/winter collection. 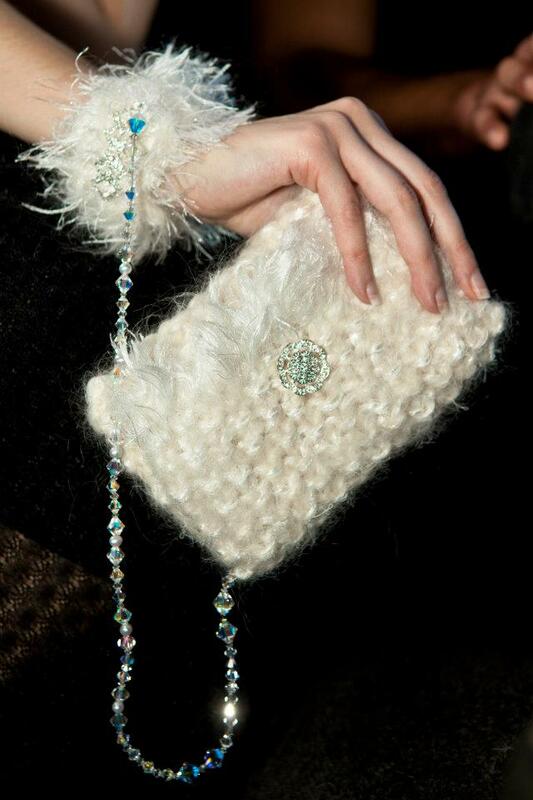 Individual pieces often have adornments in gold and gems embedded in their luxury mohair fur and silk fibers. Hand knit couture accessories with fabulously rich embellishments and adornments in gems, Swarovski Crystals, and precious metals. No two accessories are ever made the same. Pieces are made according to the individual wants, likes, colors, personality, and personal style of each individual client! 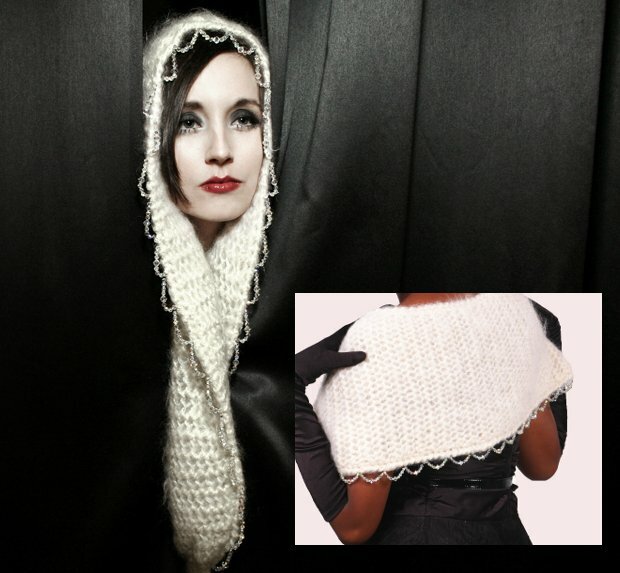 Couture mohair coats, shawls, scarves, headwraps, headdresses, bags, evening clutches, capes and more galore! HOW DO I SHOP the gallery collection models? Contact us for your design consultation, and to order at 815.513.2776! For a Brief Personal Design Consultation with J-na fill out form. Request a time for your consultation. Specify via what means for your consultation i.e phone, skype ect. Let us inspire one another to higher couture heights! Individual design photos and descriptions. 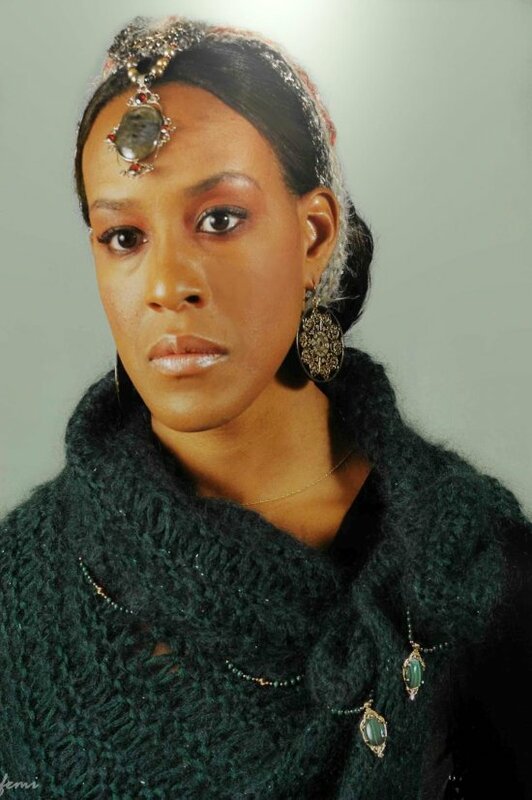 Royal Princess Headdress/wrap with fur mohair coat. Couture Treasures wraps with Pearl embellishments and gemstone adornments! j-na treasures wrap in hunter with gold and malachite adornments couture. Headwrap with silver pendant and gemstone cabochon handmade couture. Fur, silk, and marabou couture fashion wraps. 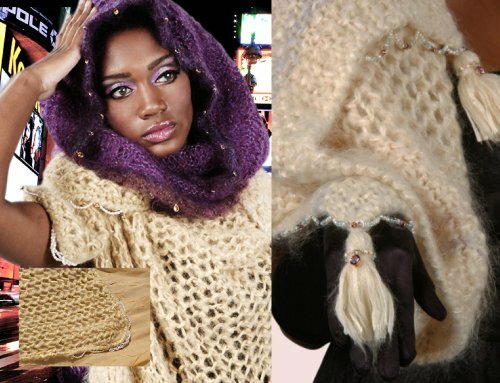 Austrian Princess Wrap with Swarovski Crystals Handknit Couture. j-na mohair and silk treasures wrap couture with precious metals, grey pearls and shell cabochons. Also can be worn as a wrap skirt! j-na frill mini stole with stone and crystal embellishments couture. j-na fur tie couture in mohair. To go back to the j-na haute couture galleries for additional inspirations and development, click here and Return to Collections. Still not totally released of your ready-made mindset. Go to homepage for couture history and personal development 101. Click here to Return to Homepage. Are you now confident in your best couture concept to request a private runway show to shop the j-na haute couture collections?